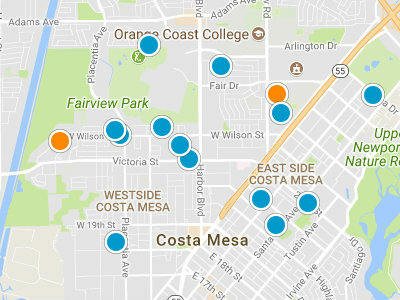 The Summerland community is located in the Mesa Verde section of Costa Mesa. Mesa Verde is a desirable area of Costa Mesa to search for real estate, due to its well planned neighborhoods. The Summerland neighborhood is made up of both new construction homes and original Summerland homes. This neighborhood was originally developed in 1957, with homes being built or rebuilt until the early 2000’s. The original homes are single level, while new construction is two levels. Many of the original homes have been updated and renovated. Homes have large lots, many with swimming pools and mature landscaping. 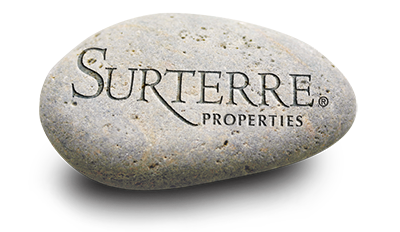 The square footage of Summerland homes begins at 1,280 square footage and ranges up to 3,000 square foot. The home prices range from 430,000 dollars to 900,000 dollars. There are low homeowners’ association dues and no Mello Roos fees. Homeowners are in close proximity to the Costa Mesa Country Club. There are many shopping and dining options available at either Orange County Market Place or South Coast Plaza. Students can walk to the elementary school and middle school. The beach is just a 20 minute bike ride away from Summerland. Residents can also easily access the John Wayne Airport, The Orange County Performing Arts Center and Orange County Fairgrounds.